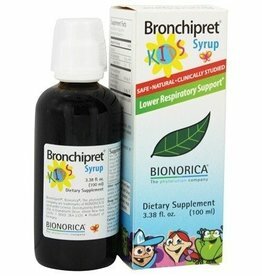 Helps to loosen phlegm (mucus) and thin bronchial secretions to drain bronchial tubes. Adults & children 12 years of age & older: 1-2 teaspoons (5-10 mL) every 4-6 hours. Do not exceed 12 teaspoons in a 24 hour period. Children under 12 years of age: Consult your doctor. Other Ingredients: fructose, glycerin, purified water. Ask a doctor before use if you have: persistent or chronic cough such as occurs with smoking, asthma, emphysema or chronic bronchitis. Cough is accompanied by excessive phlegm (mucus). Stop use and ask a doctor if: cough lasts more than 7 days, comes back, or is accompanied by fever, rash or persistent headache. These could be signs of a serious condition. This product does not contain gluten, dairy, or soy.